So article below is not made by me. DO NOT READ, this is just for my reading. Further The Star made a comparison of prices in Thailand , Singapore and Indonesia . For Thailand it is quoted at RM3.90/liter, however are they aware that in Thailand new cars are cheaper than Malaysia by RM10,000? They pay only one life time for their driving license? No renewal fee after that? Also that goes for road tax as well? And do TheStar also aware that you can drive all the way from Hadtyai to Bangkok on a six lane highway without paying any Tolls ??!! Whereas here in Malaysia you have to pay yearly renewal for road tax , driving license and TOLLS, TOLLS, TOLLS!!! For Singapore how can you quote RM 5.20 ? Please quote in Singapore Dollars because they are earning in Sing Dollars. You might as well say Europeans are paying RM10/liter. 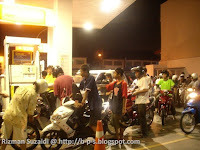 RM5.20/liter = Sing $ 2.20/liter, still cheaper than Malaysia in view of fact that Singapore is not a crude oil exporter. Are you saying that you fill up petrol in Singapore by paying Ringgit? In economy, dollar to dollar must be compared as apple to apple. Not comparing like durian in M'sia is much cheaper than durian in Japan!! Of course-lah, Japan is not durian producer!!! Comparing Malaysian durian with Thailand durian make more sense!! For Indonesia we might say is cheaper there at RM2.07/liter but compare that to their level of income! As of last month a Toyota Vios would 'cause a damage' of about RM 89,000. In the international market, a Toyota Vios is about USD 19,000. USD 19,000 = RM 62,700 (using the indicative rates of USD 1 = RM 3.30) That makes Malaysian Vios owners pay an extra RM 26,300. This RM 26,300 should be cost of operations, profit and tax because the transportation costs have been factored in to the USD 19,000. RM 26,300/ RM625 petrol rebate per year translates to a Vios being used for 42.08 years. I do understand that the RM 625 is a rebate given by the government, but it also means that one has to use the Vios for 42.08 years just to make back the amount paid in taxes for the usage of a foreign car. Would anyone use any kind of car for that long? Now with these numbers in front of us, does the subsidy sound like a subsidy or does it sound like a penalty? This just seems to be a heavy increment in our daily cost of living as we are not only charged with high car taxes but also with a drastic increase in fuel price. With all the numbers listed out, I urge all Malaysians to join me in analyzing the situation further. Car taxation is government profit, fuel sales is Petronas' (GLC) profit which also translates into government profit. 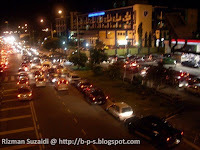 The government may ridicule us Malaysians by saying look at the world market and fuel price world wide. Please, we are Malaysians, we fought of the British, had a international port in the early centuries (Malacca), home to a racially mixed nation and WE ARE NOT STUPID!!! We know the international rates are above the USD 130/barrel. We understand the fact that the fuel prices are increasing worldwide and we also know that major scientist are still contradicting on why this phenomenon is happening. Some blame Bush and his plunders around the world and some blame climate change and there are others which say petroleum 'wells' are getting scarce. 1 barrel = 159 liters x RM2.70/liter = RM 429 or USD 134. On 1 hand, we are paying the full cost of 1 barrel of crude oil with RM2.70 per liter but on the other hand the crude oil only produces 46% of fuel. Msia sells crude oil per barrel at USD130 buys back Fuel per barrel at USD134. And not forgetting, every barrel of fuel is produced with 2 barrels of crude oil. In other words, each time we sell 2 barrels of crude oil, equivalently we will buy back 1 barrel of fuel. Financially, Malaysia sell 2 barrel crude oil @ USD 130/barrel = USD 260 = RM 858 then, Malaysia will buy back fuel @ USD 134/barrel = RM 442/barrel. Thus, Malaysia earn net extra USD 126 = RM 416 for each 2 barrel of crude sold/exported vs imported 1 barrel of fuel !!! 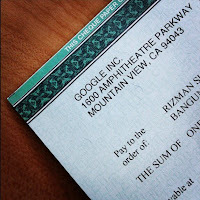 (USD 260-134 = USD 126 = RM416). So where this extra USD 126/barrel income is channeled to by Malaysian Govt????????? 1 barrel crude oil = 159 liters. 46-47% of a barrel of crude oil = fuel that we use in our vehicles. 46% of 159 = 73.14 liters. 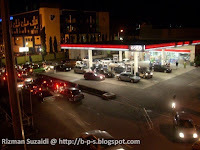 @ RM 2.70/liter x 73.14 liter = RM197.48 of fuel per barrel of crude oil. This is only 46% of the barrel, mind you. Using RM 3.30 = USD 1, we get that a barrel of crude oil produces USD 59.84 worth of petrol fuel (46% of 1barrel). USD 59.84 of USD 130/barrel turns out to be 46% of a barrel as well. Another 54% = bitumen, kerosene, and natural gases and so many more. 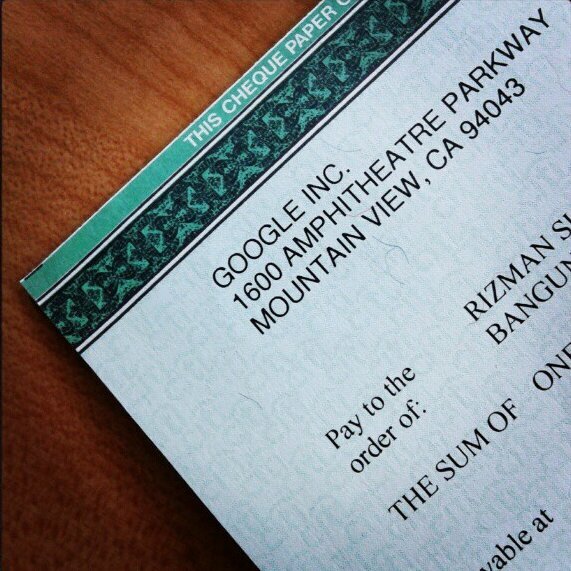 And this makes a balance of USD 70.16 that has not been accounted for. So this is where I got curious. Where is the subsidy if we are paying 46% of the price of a barrel of crude oil when the production of petrol/barrel of crude oil is still only 46%? In actual fact, we still pay for this as they are charged in the forms of fuel surcharge by airlines and road taxes for the building of road (because they use the tar/bitumen) and many more excuse charging us but let us just leave all that out of our calculations. As far as I know, only the politicians who live in Putrajaya and come for their Parliament meetings in Kuala Lumpur (approximately 60+ km) are the ones to gain as they claim their fuel and toll charges from the money of the RAKYAT's TAX. It is so disappointing to see this happen time and time again to the Malaysian public, where they are deceived by the propaganda held by the politicians and the controls they have over the press. Ahmad is a fisherman. He sells a fish to you at $10 which is below the market value of $15. Let's assume that he caught the fish from the abundance of the sea at little or no cost. Ahmad claims that since the market value of the fish is $15 and he sold you the fish for $10, he had subsidised you $5 and therefore made a loss of $5. Question : Did Ahmad actually make a profit of $10 or loss of $5 which he claimed is the subsidy? Answer: Ahmad makes a profit of $10 which is the difference of the selling price ($10) minus the cost price ($0 since the fish was caught from the abundance of the sea). There is no subsidy as claimed by Ahmad. The BN government claims that it is a subsidy because the oil is kept and treated as somebody else's property (you know who). By right, the oil belongs to all citizens of the country and the government is a trustee for the citizens. So as in the above simple example, the BN government cannot claim that it has subsidised the citizen! So article ABOVE is not made by me. 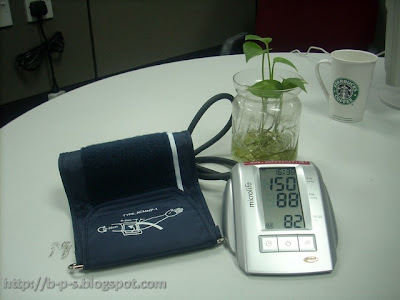 Recently I bougght an automatic sphygmomanometer. It cost RM 250. 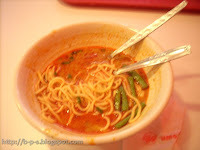 Recently, I was hungry that night. AT THAT NIGHT, MAYBE I DEMAM, SICK, OR SOMETHING. So I went to local mall to buy some CD and eat. Marrybrown's new dishes banner attracts me so much that I just bypass McDonalds. 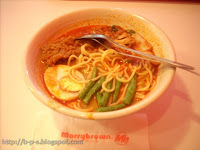 Unfortunately my taste buds doesn't 'mesra' with Mee Kari Marrybrow's curry. I just only eat just the lauk. Microsoft baru-baru ini telah mengadakan acara Heroes Happen Here di Pulau Pinang. 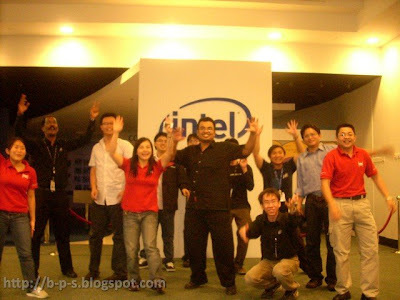 Acara tersebut telah diadakan di Intel Technology Sdn. Bhd. (atau lebih dikenali dengan Kilang Intel), Zon Industri Bebas, Pulau Pinang. 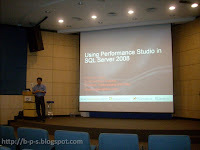 Acara ini memperkenalkan kepada profesional ICT Pulau Pinang (peserta) tentang ciri-ciri dan fungsi-fungsi terkini dalam Microsoft Windows Server 2008, Microsoft Visual Studio 2008, dan Microsoft SQL Server. Disamping itu, teori keselamatan ICT dalam produk Microsoft juga dipersembahkan. 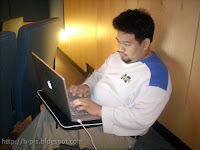 Acara ini turut juga memperkenalkan komuniti-komuniti ICT seperti SPAN, ELITE dan MIND kepada (peserta). Saya bertuah kerana telah diajak oleh kawan pada malam sebelum event ini diadakan. Kalau tak kerana dia, saya pun tak tau pasal event nie. 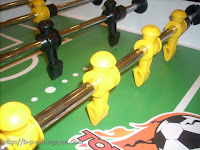 Sebelum pulang, saya melepas geram kat meja foosbal. Isk kalaulah office pun ada satu. Baru-baru ini, ketika minta bantuan kawan aku untuk bincang masalah repair laptop aku terpadang akan plastik balutan gula-gula Mentalk. Katanya gula-gula 'tongkat ali' tu berharga RM 5.00 sebiji. Semalam aku tengok berita, BERNAMA melaporkan yang Kementerian Kesihatan Malaysia menyarankan rakyat untuk tidak mengambil Gula-gula Mentalk. KUALA LUMPUR: Orang ramai dinasihati supaya tidak menggunakan kandi kesihatan dikenali sebagai ‘Mentalk Candy’ kerana ia didapati mengandungi aminotadalafil, sejenis ubat bagi mengatasi masalah lemah tenaga batin. 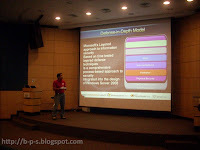 Berikut merupakan PRESS RELEASE daripada Health Science Administration of Singapore. Malaysian petrol and diesel price are control by the government. For the first time in Malaysian history, a prime minister had announce a price hike by not using the word "effective immediately", instead he used "effective at 12:00 AM". 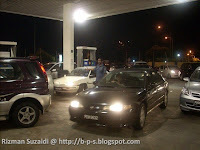 Petrol pump all over Malaysia has been swarmed by rakyat who want to save some ringgit by filling their car fuel tank FULL.